Now that I am over a week back from my first SourceCon conference, I have taken some time to process the entire experience. As a newcomer to the industry overall it was an honor to represent Search Wizards at this conference, not only because I did so with our CEO Leslie O’Connor, the original SourceCon pioneer. But also, because although it was my first SourceCon, it was easy to see that this event was special. Jim Stroud and Shannon Pritchett kicked off a lineup of spectacular speakers, made even better once I learned that Jim was the host at the very first SourceCon. 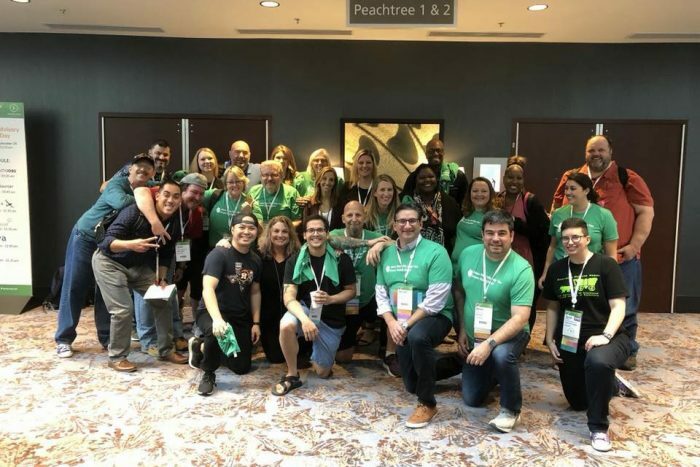 How awesome to be in Atlanta, where it all started, this many years later at my first ever SourceCon conference with so many of our industry leaders that were there when it all began. I believe the term “drinking from the firehose” is fitting. There was a lot to take in: meeting new people, panels and presentations, and thinking through how to apply newly-learned techniques to my daily work. The experience was both exhilarating and exhausting at the same time. What stood out the most to me was that the community at SourceCon is unlike any I’ve ever experienced before. Over the course of my three days in Atlanta, I encountered not only plenty of good ol’ southern hospitality (the fried chicken on Tuesday helped!) but also a feeling of sharing and inclusiveness that was completely unexpected as a first-timer. Many people willingly offered me sound tidbits of advice. The greatest piece of general advice I received was that the journey is more interesting than the destination. In that spirit, I’d like to share some of the takeaways from my SourceCon Fall 2018 journey. The growth hacking theme crossed over and into multiple presentations at SourceCon Atlanta. Within the growth hacking theme, marketing was a big focus. Attendees learned varying tactics for gathering information, testing a hypothesis, and then retrying methods to see what works for their business. Also, we learned that we should be working with our marketing teams and using marketing tactics in our sourcing efforts. The objective for sourcers is to attract top talent. Instead of regularly reaching out with jobs, highlighting the requirements, sourcers should define their target candidate “persona” and what might be most important to them and employ a marketing strategy that speaks to that target audience. Candidates have different motivations, which is why you will need to try different methods to see what works. The underlying excitement you can create to engage candidates stems from the fact that people care more about the ‘why’ than the ‘how’. For example, if I am a Software Engineer with a family, I may be more interested in a flexible work schedule, health benefits, and a company culture that is family-focused, rather than the overall compensation plan. Company culture, core values, and flexibility can be terrific areas for a sourcer to highlight to better engage candidates and stand-out amongst the rest. My personal favorite presentation at SourceCon was by Shaunda Zilich, entitled “Recruiter, you were born for Marketing.” In all honesty, it is hard to pick a favorite out of such a talented line-up of speakers and great topics but, for me, Shaunda best articulated that sourcing skills are tailor-made for attracting top talent through marketing techniques. Talent acquisition professionals also can have a significant impact on their marketing department(s). Not only is it possible to work with the marketing department to develop new and innovative ways to attract candidates to your corporate website, but it’s a crucial part of where sourcing and recruiting are headed in future. As the new kid on the block, I learned a lot. It was a unique and energizing experience to share with my peers and new friends. I would suggest that the ‘UNITE’ moniker in the conference subtitle has a lot of relevance if you think of it as uniting not only internally in the sourcing role, but also looking outside to other departments that you can partner with. Growth Hacking will be reflected in your ability to test new ways to attract more candidates by understanding and marketing what is important to them. This will allow you to stand out from your peers and appeal to those candidates that can really make an impact in your company’s growth and success. I would recommend SourceCon next year to anyone at any level of the industry. Of course, if you’re newer to the industry and get a chance to go, you will learn so much you will be overwhelmed, and at the same time helped along and encouraged by industry veterans. I also heard from many people further on in their careers that SourceCon is a chance to keep up to date with changes as they happen in the industry while connecting with their peers. I think it’s safe to say the conference was a fun learning experience for everyone who attended, and I cannot wait for the next one. Lucien recently joined Search Wizards as a Market Development Representative bringing with him 7+ years of Sales and Marketing experience. Educated in Scotland, Lucien is a people person, which is a familiar story to the Talent Acquisition industry. In his spare time he enjoys reading, cooking and yoga. First impressions of SourceCon? love the inclusiveness, the applicable learnings and would definitely recommend to a friend!